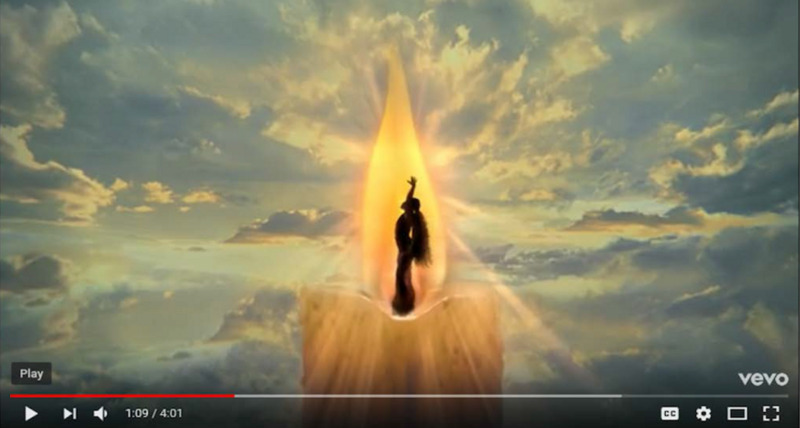 A scene in Ariana Grande’s 2018 music video God is a Woman allegedly plagiarised the work of the Russian-American artist Vladimir Kush, according to a complaint filed by the artist yesterday (31 January) against the singer, her record label and others involved in making the video. The Las Vegas-based “metaphorical-realism” artist filed the action in Nevada shortly after learning about the scene in a listicle breaking down the symbolism of the music video (published by the pop culture blog PopSugar). 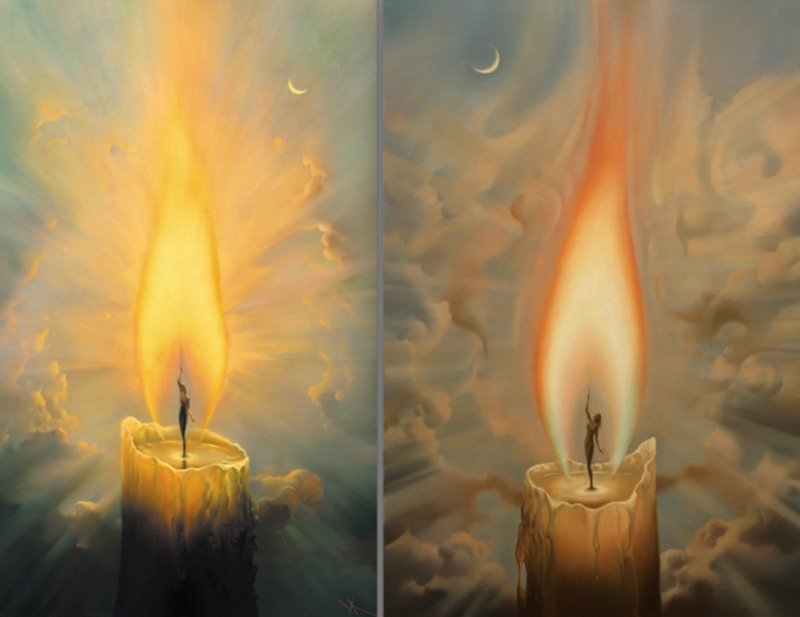 In the complaint, he claims that the scene where Grande is shown dancing inside a candle flame against a background of clouds is identical to his paintings The Candle and The Candle 2, both made around two decades ago. The intellectual property attorney Sam P. Israel, who is not involved with the case, expects that a decent settlement will be reached for the artist, saying that the images “are virtually the same”. The artist was not immediately available to comment.